Bishop Jam es visited Swingate Primary School in Lordswood on Friday 13 May. 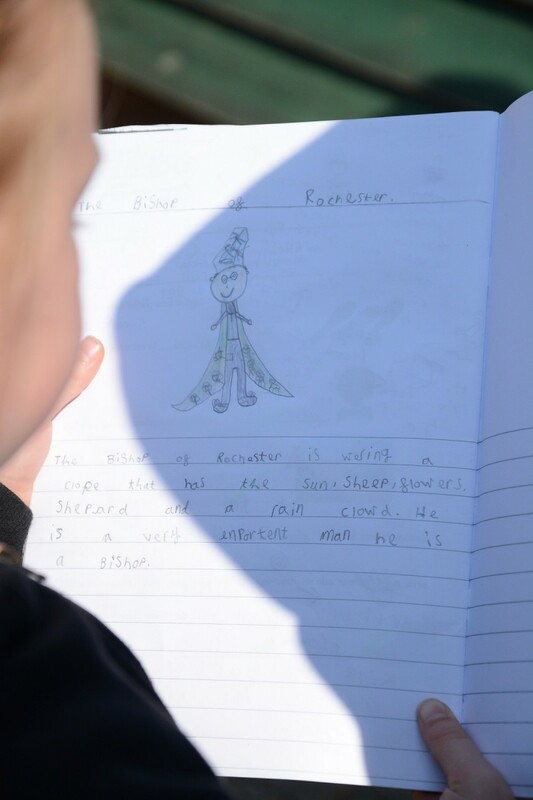 Headteacher Kristine Boon said: “As a large Primary School we are keen to make links with the local community, one of our successful links has been with our local vicar Rev Kichenside. This year both Rev Kichenside and Rev Cranmer have attended class assemblies and other special events such as our poppy assembly. Our Year 5 children took part in the annual Christingle in the local church St. David’s. We were delighted when Rev Kichenside suggested that the Bishop of Rochester visit us. We took this opportunity to focus on looking at the life and role of a Bishop. We chose a story from the Bible to study. 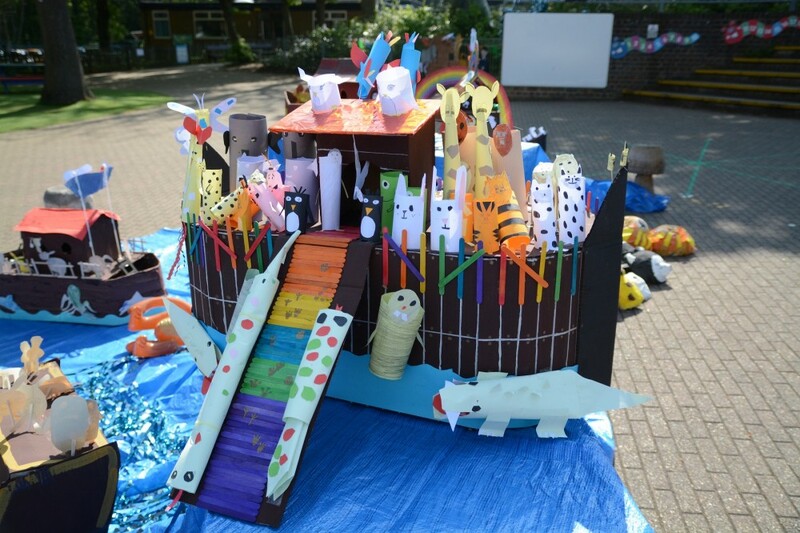 Every one of our 23 classes then set to work producing the most amazing Noah’s Arks, the creativity and finished products are fantastic. We had Arks made out of chocolate, gingerbread, and cardboard, Paper Mache, decoupage and various other materials. During his visit the Bishop spoke to our younger children about his work, he joined in with some singing and enjoyed listening to our choir. 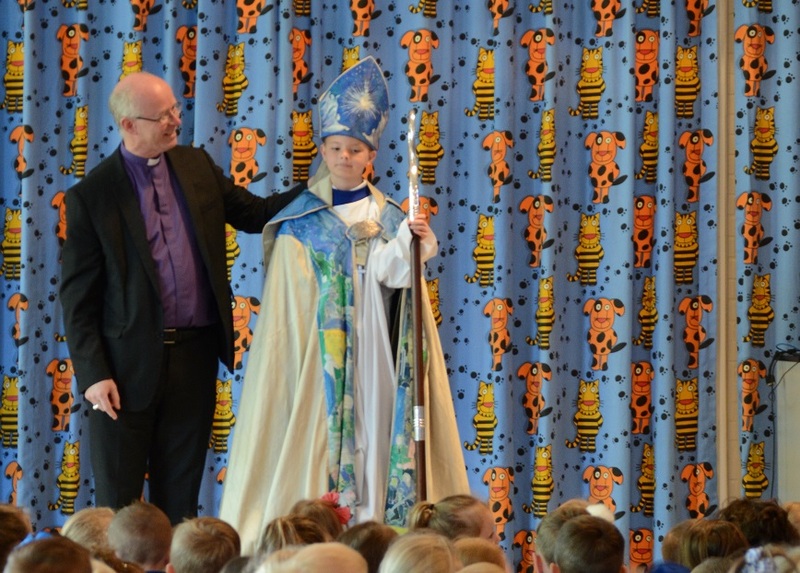 Riley from Year 2 w as chosen to dress as the Bishop during the assembly. 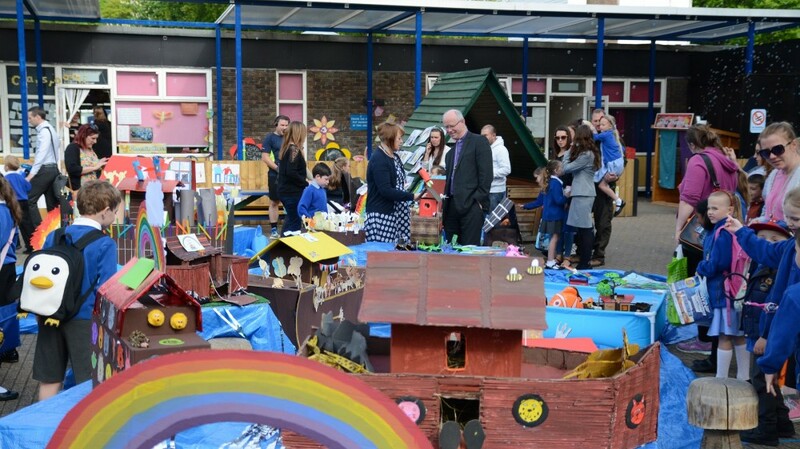 His visit ended with the most difficult job of judging the Arks and choosing a winner.